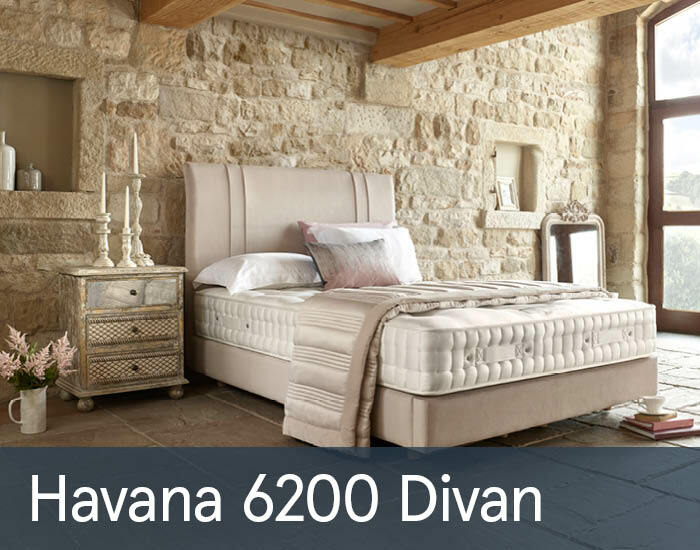 Sleep soundly every night with the superlative support provided by the Havana 6200. A core of 6200 springs is topped with natural cotton and a wool-and-viscose blend to wick away moisture as you sleep while the ChemFree mattress fabric offers a natural sleeping surface. Platform top deep base provides additional support. The Havana is a no turn mattress, but regular rotation from head to toe will extend the mattresses life span. Available as a mattress or divan set with different headboard and storage options.